Club Bonafide, located at 212 E 52nd St, New York, is proud to present accomplished composer and vocalist Gabriela Martina on Saturday, February 3 at 7:30pm. Alongside her talented sextet which features Ayinde Webb on drums, Kyle Miles on bass, Maxim Lubarsky on piano and keyboards, Jussi Reijonen on guitar and Ben Rosenblum on accordion, the Swiss native will showcase compositions from her latest album No White Shoes and preview compositions from her forthcoming new project, tentatively titled Hommage to Grämlis. Tickets are $15 and are available here. Released in 2016 and with a four-star review from DownBeat, Martina’s No White Shoes represented a major step in the singer’s sojourn as a 21st-century musician exploring an array of influences, styles and issues, a journey that’s intoxicating and utterly unpredictable. Martina has had the opportunity to perform and collaborate with heavyweights like Meshell Ndegeocello, Jack DeJohnette, and Angelique Kidjo. She recorded with veteran drummer J.R. Robinson and was a semifinalist in the Shure Voice Competition at the 2009 Montreux Jazz Festival, performing with guitarist Lee Ritenour’s band. 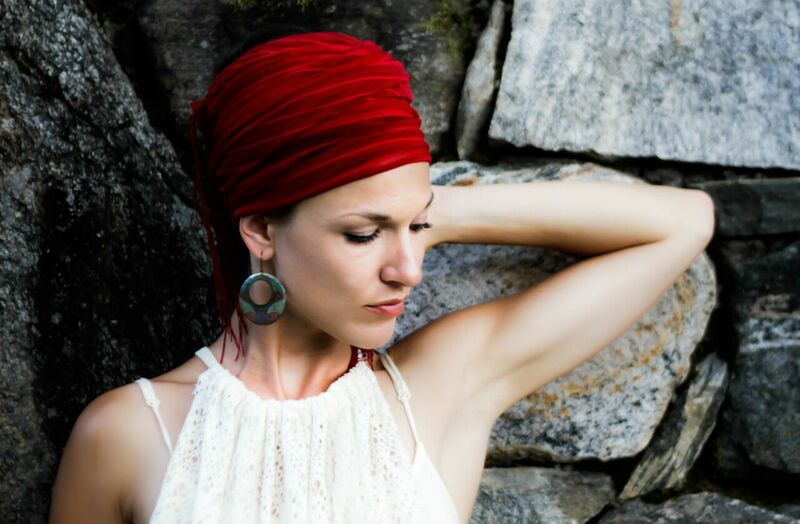 Martina released a critically hailed EP in 2010, Curiosity, which included her original song “Ain’t Nobody,” a finalist in the American Society of Composers, Authors, and Publishers Foundation Young Jazz Composer Awards in 2012. She sings in four languages (German, English, French, and Spanish) and is currently performing with various groups up and down the East Coast. Martina owns her own booking agency called Red Velvet Sounds and is co-founder and curator of the In Momentum concert series. She looks forward to releasing her next project in 2018, tentatively titled Hommage to Grämlis, which will feature Swiss traditional Jodel Music with pop and jazz. Martina is a social activist who is passionate about learning more about other cultures, helping to develop a sense of community, and fighting inequality and racism. She is a strong advocate of causes that promote equal human rights independent of religious or political affiliations. From 2009 to 2010, Martina was the founder and president of the Cultural Leaders Club at Berklee College of Music, where students investigated causes and effects in terms of race, gender, and ethnicity issues. Sonic Relief, which Martina co-founded, was awarded the Berklee Urban Service Award 2016, for using music to aid people in need.